Our first official ‘Meet The Brewer’ event takes place at the end of this month. 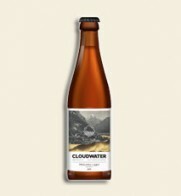 Summer Wine Brewery will be holding an informative yet informal chat and you’ll have the first opportunity to sample some of their wonderful beers, including : Valencia (pale ale) Rouge Hop, Teleporter (10 Malt Porter), Lime & Coriander Saison (first of four Saisons) Port Street will be the first bar in the country to serve this! So join us for a intimate event of amazing beer and friendly people. The driving forces behind the brewery are Andy Baker (Managing Director) & James Farran (Head Brewer). Andy is a Newcastle University Environmental Science graduate & James a brewing & science nut who has been honing his skills for 9 years. They are both hop heads & malt mad, blending the worlds best ingredients to create the finest quality cask & bottled ales.